Ben used to be a cardiothoracic surgeon before he suddenly abandoned his career and became a janitor at a retirement facility. Now, other than dealing with minor problems such as an unhealthy obsession with prime numbers, an inept boss, and a feud between two cantankerous retirees, he lives a relatively stress-free life. There is even hope for romance when an attractive podiatrist shows an interest in him. But it is not long before his past catches up with him and his carefully protected world begins to unravel. 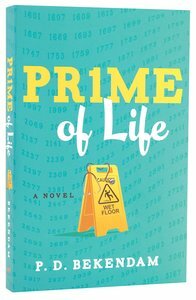 Filled with humor and quirky characters, Prime of Life delivers a satisfying and entertaining read.